From the bell-ringers outside stores to the smell of spruce wafting through the air, we are reminded that the holiday season is upon us. 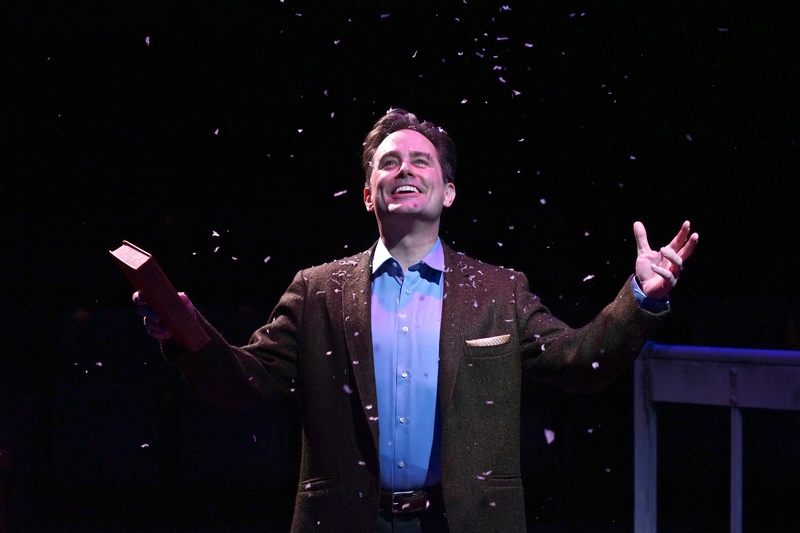 For those having a little difficulty getting into the holiday spirit or those who need a break from holiday shopping and cooking, the Zach Theatre’s production of This Wonderful Life may be just what you need. Written by Steve Murray, directed by Richard Robichaux, and starring Martin Burke, it is currently playing on the Zach’s Whisenhunt Stage through December 28. 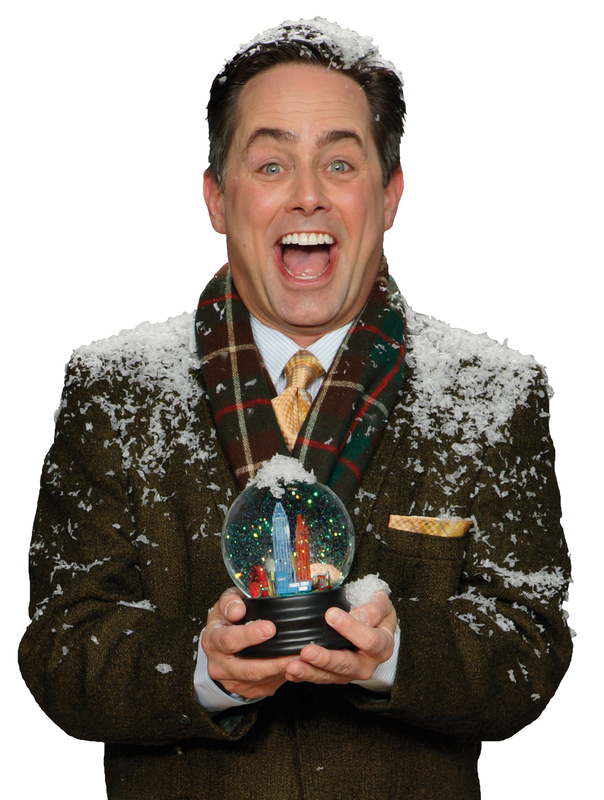 Based on the classic Frank Capra film It’s A Wonderful Life, the Zach’s production is a “re-imagined” version in which the multi-talented Martin Burke plays all 37 characters. One actor playing 37 roles struck me as an improbable plan, but I was curious. Curiosity quickly gave way to enchantment. With minimal set and props…a desk, a swivel chair, a loose newel post knob, and a telephone…Mr. Burke, with split-second timing, transitioned seamlessly from one character to the next. Each denizen of Bedford Falls was clearly defined but transitions were so rapid that a simple pivot of the body could begin with one character and end with another character emerging by the time the turn was completed. The nuance of vocal transitions, the ever so slight physical or vocal cue as one character melded into the next and the lively yet measured pace kept the audience engaged while moving the story forward. It was touching. It was memorable. It was funny. It was real. Performances continue through December 28. For additional information on performance dates and times, go to http://www.zachtheatre.org/show/wonderful-life.